Not all of my family are buried in the family cemeteries. Here are a few family members’ headstones located abroad. 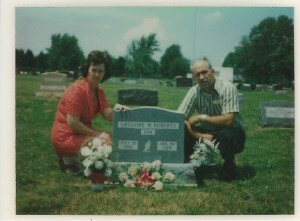 Mom & dad at the headstone for my loving brother, Gregory Wayne Roberts, 1958-1979. Greggy is buried in the Zion Cemetery in Beavercreek, Ohio. 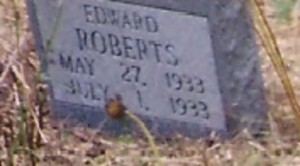 Edgar’s twin, Edward Roberts, who died as an infant. 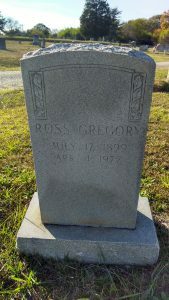 He is buried in the Lewis Roberts’ Cemetery (not our line) on Highway 603 in Blackwater, VA. Ironically, my uncle and aunt, Paul & Virginia Baker, owned the property that the cemetery resides on for a number of years. 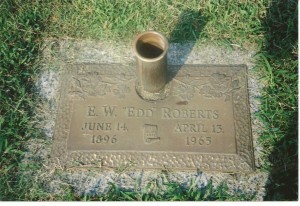 My great uncle, Edd Roberts, 1896-1965. 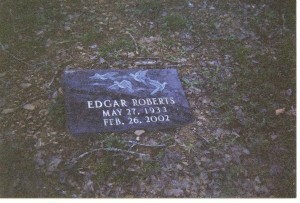 He was the next oldest brother to grandpa Fred and is buried in Hamblen Memory Gardens in Morristown, TN. My uncle, Claude Thomas Baker, Jr. 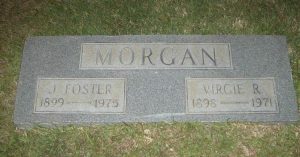 He is buried in the cemetery adjacent to Bellbrook Fairview Baptist Church in Bellbrook, Ohio. He was born with fluid in his lungs and only lived 18 hours. 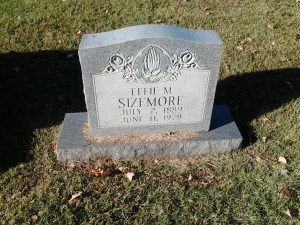 My great aunt, Effie (Roberts) Sizemore, 2 Jul 1889-11 Jun 1978, wife of Frank Sizemore, buried at Liberty Hill Cemetery in Church Hill, Tennessee. 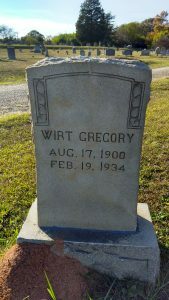 My great aunt, Wirt D. (Roberts) Gregory, 17 Aug 1900-19 Feb 1934, wife of John Ross Gregory, buried in Rosemont Cemetery in Union, South Carolina. Bessemer City Memorial Cemetery in Bessemer City, North Carolina. My dad was named after John’s middle name. You will find it listed as “Foster”, “Forester”, and “Foyster”, just like my dad’s name. 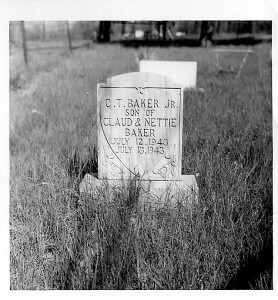 Although I don’t have pictures of their headstones, my great uncle and aunt, William Jennings Quillen, 09/16/1904-02/14/1965, and Nancie Anna “Annie” (Roberts) Quillen, 06/30/1905-03/31/1960, are buried in the Quillen Cemetery in Eidson, Tennessee. If you were to take 70 across the Clinch River and going towards Sneedville, you would take a right on Little Pumpkin Valley Road. The cemetery is just off the second unnamed road on the left.